If you have ever wondered about the historical development of the reef hobby and the origins of the theories and manufacturers involved in our hobby, I hope to provide some insight in this article. The primary focus will be on the developments of the aquarium hobby from the 1950's forward when marine aquarists began to acquire the technology needed to successfully maintain a marine aquarium. For the first 20 years, until about 1970, the marine hobby was in its infancy and the freshwater hobby was the source of most knowledge and technology. The basic elements of the more developed freshwater techniques provided the foundations that made the marine hobby possible. The modern aquarium hobby as we know it began in the 1920's as a development of the toy industry. The first tropical fish were sold in toy stores throughout Europe, and the U.S. company, Mattel, who owned the brand name Metaframe, was one of the key founders of the "toy" fish hobby. Some aquarium product instructions still contain references to "toy" fish, such as those of Hans Weigandt, a German manufacturer of salt, additives and aquarium equipment. The first aquarium fish were livebearers, largely due to their easy breeding and nearby sourcing in Central America and the Southern United States. Darters and perches were also a large part of the market. Early aquariums were free of most of the technical equipment we rely on today. The aquariums of old relied on live plants and natural sunlight, and the aquarium was made of slate and glass with a metal frame held together with a putty made of lead oxide and linseed oil or asphalt. Food consisted of dried ants or oatmeal, or whatever the aquarist could collect from a pond. A small Bunsen burner under the slate bottom provided heating, if necessary, and some older designs incorporated a metal bottom with a dome to regulate heating. A great deal of progress had to be made to bring us to today's marine hobby. The first major step on the path to the modern marine hobby was modern aviation. Prior to modern air transport, it was all but impossible to move live fish from source to market. The aviation industry did not really become mainstream until after WWII, and it was also at this time that we really begin to see growth in the diversity of available specimens, along with the introduction of the ornamental marine hobby. Following the establishment of steady supply lines and packing methods utilizing oxygen and insulated boxes, aquarium technology in general began to develop. From the beginning of the 20th century through to the 1960's, air was the only source of power for circulation and primitive filters, such as the undergravel filter and inside box filter. Air pumps saw many stages of development. 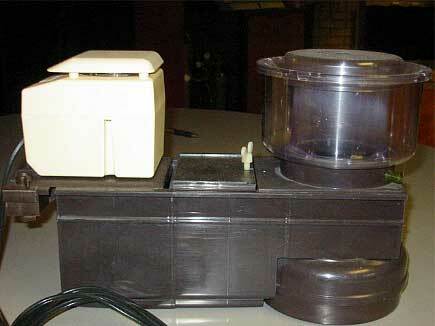 The first aquarium air pump was produced in 1908 by KDA of Germany and was powered by water. This was not a very practical design, and later progressed to a piston pump with a flywheel which was loud and required a lot of oiling and cleaning. The diaphragm air pump was later perfected and replaced the piston air pump as a quieter, lower maintenance source of air. The air pump, along with primitive filters, were all that the dedicated hobbyist of the time required to start keeping marine ornamentals. Even with this "technology," however, saltwater aquarium maintenance was still impossible for those without access to seawater, and even for them achieving success was very difficult. Artificial seawater mixes existed, but they were crude and generally limited in availability. 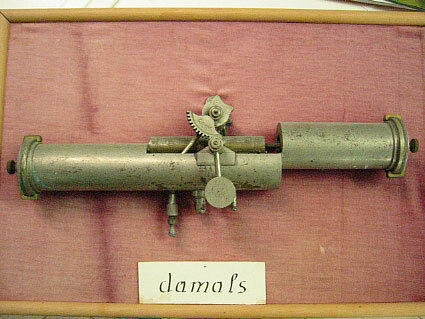 The first aquarium air pump - circa 1908 - which used the power of water from a hose to compress air. Manufactured by K.D.A. If we look at the aquarium literature of the mid-50's, we can see a glimpse of our hobby's birth and the challenges of the day. The Innes Book of Exotic Aquarium Fishes from a 1956 printing lists suitable species as the Percula Clown (likely A. ocellaris), the Sargeant Major Damselfish, small brackish water puffers and scats, Jeweled Blennies, Sailfin Mollies, Blue Damsels and High Hats. The advanced aquarist of that time may also have been able to maintain a Butterflyfish or Pygmy Angelfish; Monos (Monodactylus sebae) and small Porkfish were also occasionally offered in retail aquarium shops. The Sea Horses native to the American coast were frequently kept for short periods of time for people who collected their own at the seashores off the Eastern and Gulf coasts. The 1960's were a time of great innovation. Because the aquarium hobby was popular in an economically booming Germany, many new companies developed around the innovations of notable hobbyists. The powerhead was invented in 1960 by Norbert Tunze who was, at the time, self-employed as a general electronics repairman. As with most great discoveries, the invention was a bit of an accident combined with some inspiration. As the story goes, an Eheim pump for model railroads was brought in for repair (Eheim was a toy manufacturer at this time). Primitive centrifugal pumps used air-cooled motors, took in water at the bottom, and expelled it at the top. After repairing the pump, Norbert tested it on his freshwater aquarium and noted that the fish really enjoyed the flow and had never seemed healthier. He wrote to Eheim suggesting they develop an aquarium pump, and the response from the company was that they had no interest and felt the market was not viable. He pursued the idea on his own at home and developed the first powerhead which he called a Turbelle, from the combination of 'turbine' and 'libelle' (German for dragonfly). It used 8 watts of power and produced a flow rate of 430l/h. The first units were entirely handmade in his garage with even the plastic housing being hand poured. He then patented the forward direction of flow by a centrifugal pump, and then a new piece of aquarium technology was born. This is the first Turbelle, entirely hand made, even the resin was hand cast. 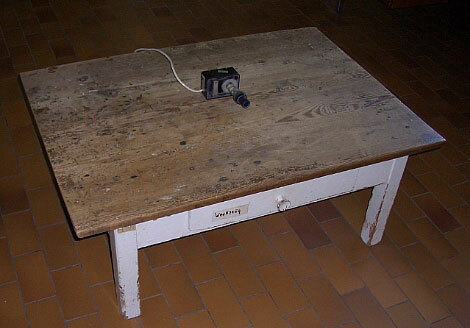 This is the original workbench in Norbert Tunze's garage upon which it was built. Another major innovation of the 1960's was the protein skimmer, which was the result of an observation made by a hobbyist in Solingen, Germany in 1963. After noting that brown foam formed at the uplift tube of his undergravel filter, he devised a system of celluloid tubes connected to an inclined tube, which drained the foam into a cup. He sent a record of his work and observations to the Max Planck Institute for Ethology. Norbert Tunze and Erwin Sander simultaneously began further research on the idea and later/soon thereafter introduced the first commercial protein skimmers under the brand names Tunze and Sander, respectively. This is an Eheim industrial pump showing the upward water flow of all pumps before Norbert Tunze patented the forward direction of flow principle after experimenting with a similarly designed Eheim pump. Soon, modern brands of artificial salt mixes such as Hans Weigandt's, Tropic Marin and another, called Instant Ocean, also began to appear during this period. Instant Ocean was the product of Aquarium Systems, an offshoot of the petrochemical company STP, whose president was quite fond of marine aquariums.3 Dr. Biener, of Germany, developed Tropic Marin and tested it in a shop (Tropicarium) near him in Frankfurt, Germany that had shown good success with invertebrates. That success was attributed to the salt being used and a special food preparation.4 Hans Weigandt's Meersaltz, or Marinemix as it was known in the U.S., was developed by the HW laboratory.5 All three salts took center stage in various aquarium circles as being the closest approximations yet of natural seawater and including all the "necessary" trace elements. The availability of good salt mixes provided the means for landlocked aquarists to more widely become part of the growing marine aquarium hobby. In January of 1965, Robert Straughan of Coral Reef Exhibits in Miami, Florida published Saltwater Aquarium, the first marine aquarium magazine in the U.S. In reading through back issues, it was apparent to me that the methodology of marine aquarists of the 1960's was not too different from those in the 1950's. Undergravel filters, crushed coral substrate, coral skeletons for decoration, and aquariums of 20 gallons seemed to be the norm. It is interesting, though, to see the first commercial ventures of that time in print. Coral Reef Exhibits offered one of the first artificial salts and activated carbon, as well as one of the first marine aquaria books, The Saltwater Aquarium in the Home. Dealers advertised the new Sanders ozonizer and new acrylic and silicon seam aquaria. Articles about maintaining coral and algae are included, but they clearly mention that life spans for most species were short, likely due to high nutrient low lighting levels. The more intriguing articles included ones concerning spawning neon gobies and keeping the giant Pacific octopus. While these efforts had limited success, the basic groundwork and disciplines of the hobby were already in place. Mr. Straughan notes, in an article titled, "Anemone Rocks" from the Jan/Feb 1966 issue, the benefits of live rocks and invertebrates -Aiptasia. He comments on how the rocks, when added, purify the water and enable the maintenance of more delicate animals. At the end of this period, the marine hobby was better equipped and only two real obstacles to modern reef aquaria remained: knowledge and lighting. For the next 20 years, the marine hobby grew and successful maintenance of fish for longer periods of time became a reality. With good water flow to carry oxygen, and the benefits to water quality provided by protein skimming, aquarists were better able to approximate the conditions of the ocean. The later development of all glass aquariums with silicon seals had also made larger aquaria possible. In the 1970's, two major publications became available. Peter Wilkens published his book, The Saltwater Aquarium for Tropical Marine Invertebrates, that described techniques that later became known as the Berlin Method. Next, Martin Moe developed the methods required for commercially reproducing clownfish in captivity.6 For the average hobbyist, however, the hobby remained unchanged; the few marine aquarists of the time focused on large ornamental fish specimens. The early filter systems and limited knowledge of aquarium chemistry meant frequent reliance on copper for treating parasitic infestations of fish. In general, the maintenance of invertebrates in captivity was not common due to the lack of understanding of their requirements, as well as the need for copper treatments to maintain the fish that were the focal point of aquaria. The aquarium literature of the 1970's showed some changes in methodology. First, the motorized filter became popular. Miracle Pet, Herbert Axelrod's company, introduced the Eheim "Miracle" filter to the U.S. market. The Jäger Heater was also introduced to the U.S. market. Metaframe introduced frozen food, under the brand name San Francisco Bay Frozen Brine Shrimp, as well as the hang-on power filter. For a glimpse of the hobby during the 1970's, consider the retailer Hawaiian Marine Imports that was considered the best marinelife dealer in the country in the early part of the decade. Owned by Cal Adger, the facility was written about in the Sept./Oct. 1971 issue of Saltwater Aquarium. The shop had a then-unique approach of having a luxurious showroom of display aquariums, including a 1200-gallon reef fish display. The customer could pick out the display fish he liked, and a specimen would be brought out from holding tanks in the back. On display at the time of the article were Emperor Angelfish, Panther Groupers, Banner Fish, Powder Blue Tangs, Pacific Batfish, Butterflyfish and Clown Triggers. Clearly, the diversity available to the hobbyist had increased since the 1950's. Housing requirements seemed adequately met as well, with the Clown Trigger being kept in a 200-gallon aquarium. The product offerings also closely resembled what a modern marine fish store would stock: Hans Weigandt's additives and salt mix, Sander's ozonizers and skimmers, Eheim canister filters, copper sulfate solution, and the Angstrom 2537 UV sterilizer. Note: Today, Mr. Adger operates Hawaiian Marine Imports as an importing and distributing company for many of the products listed above, and still manufactures the Angstrom 2537 after having acquired the product rights. Another magazine that came into the market in the 1970's was Tropical Fish Hobbyist. A review of this magazine's articles of that time showed that numerous high quality local fish stores existed throughout the country. Some mail order livestock suppliers appeared, as well. Columns in TFH addressed keeping species with relatively difficult husbandry issues, such as various species of Chaetodon. Another periodical, Aquarium Digest International, by Tetra Press, illustrated techniques that most modern hobbyists would recognize, including the use of protein skimming, activated carbon and large power filters. It was also interesting to find that an article in the Winter 1974 issue of Tropical Fish Hobbyist that described the problem of cyanide-collected fish. In a personal communication, Mr. Adger said that such issues caused him to leave the livestock end of the trade. As demand for ornamental fish was increased by a growing number of hobbyists, quality dwindled largely due to the increased use of cyanide to easily catch the larger number of fish required by the trade. By the end of the 1970's, marine fish were being mass-marketed by stores such as Pier One Imports, essentially for their use as living home décor. The issues with cyanide-caught Philippine fish became widespread; a practice that would not change until the official ban on cyanide capture in the Philippines in the 1980's. Unfortunately, and although still illegal, cyanide capture still occurs in a large number of aquarium fish collected from many countries. In the early 1980's, something radical happened that forever changed the hobby. The German government banned the importation of all butterflies and angelfish. For the most part, this was done to appease the concern of the environmentalists that these animals could not be properly cared for in captivity; additonally, government data supported the high mortality of these species among hobbyists. German aquaria at the time typically displayed large showy specimens, often butterflies and angelfish that were readily available to hobbyists. This action from the government appeared to doom the hobby almost as soon as it had developed since the most popular of the large beautiful reef fishes could no longer be purchased. Fortunately, it also spurred new developments. Hobbyists decided that since they could no longer purchase these banned colorful fishes, then perhaps they could capture the beauty of the scenery itself by keeping live corals. The Berlin Aquarium Society and Peter Wilkens were instrumental in these developments with the first application of high intensity lighting and the discovery of what nutrients and supplements were needed to maintain corals in captivity. The last piece of the puzzle was put together when Berlin Aquarium Society members began using HID lighting. The first HQI bulb used was marketed as 6000K, and although its color left much to be desired, it worked in keeping corals alive. These early reef lights were run in commercial Osram fixtures and were often supplemented with Actinic 03 fluorescent tubes from Philips, which provided the 420nm wavelength where photosynthesis peaks. The Actinic 03 lamp also caused the corals to fluoresce, and helped soften the harshly tinted light of early HQI lamps. The actinic fluorescent lamp was borrowed from hospital applications that used them to treat jaundice in infants where the spectrum increases vitamin synthesis impaired by poor liver function. With the many pieces of the puzzle now complete, early Berlin Aquarium Society members like Dietrich Stuber pioneered keeping live corals. Dietrich Stuber is famous as the first person to successfully maintain Acropora in captivity. Today, clones of this variant are sold as Stuber's Acropora. 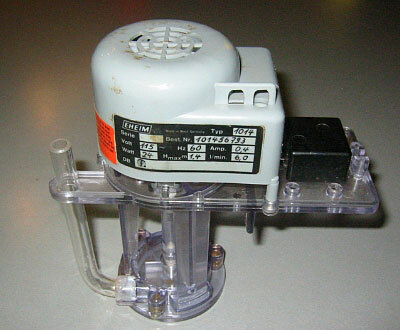 This is the first motorized venturi skimmer circa 1981- this was a U.S. model and was distributed by Aquarium Products at the time. The Berlin Aquarium Society used the methods outlined by Peter Wilkens in The Saltwater Aquarium for Tropical Marine Invertebrates to great success. This early methodology relied on large quantities of live rock (approximately two pounds per gallon) and the use of "kalkwasser," (literally meaning chalk water), an aqueous solution of calcium hydroxide to replace all evaporated water. The technical filtration consisted of a wet/dry filter and a protein skimmer, as well as granular activated carbon. These elements used in conjunction helped process nitrogenous waste, maintained the necessary low nutrient and high oxygen levels, and kept pH, alkalinity and calcium at the correct levels for good coral growth. Combined with good water flow and lighting, success with invertebrates was now within hobbyists' reach. The last link to today's state of the hobby was the conveyance of this new information to the average aquarium hobbyist. The Berlin Aquarium Society was so successful because its large and active membership exchanged information, while hobbyists in other parts of the world struggled to "reinvent the wheel," as it were. To the hobbyists I knew in Texas at the time, the lack of information meant being thrilled with maintaining even Aiptasia sp. anemones. The limited exchange of information at the time meant many people around the world had some pieces of the puzzle, but the whole picture wasn't quite formed. Thankfully, in the mid 1980's, Peter Wilkens' book was translated and George Smit introduced the wet/dry filter to America in Freshwater and Marine Aquarium Magazine. SeaScope, a pamphlet publication distributed to pet stores by Aquarium Systems, began to publish articles as new discoveries were made.7 In the late 1980's, the articles of Charles Delbeek and Julian Sprung greatly aided the spread of knowledge in the United States. Although not yet widespread in the U.S., the methods of the Berlin Aquarium Society would soon became widely known with the publication of the landmark book by Delbeek and Sprung, The Reef Aquarium in 1994. Later, the translated version of The Modern Coral Reef Aquarium series, by Nilsen and Fossa, would add to the knowledge base already begun by the appearance of many great books by numerous American authors. It would be fair to say that the greatest piece of reefkeeping equipment today is the knowledge that is readily available through the internet, with great international websites such as Reef Central. Today, the most critical piece of the puzzle, information, can be spread instantaneously. In all aspects of history, we look back and see pieces of the puzzle we missed, and history is constantly being updated. The history of our hobby is no different. For years we walked hand-in-hand with technological advancements. By the early 1990's, it was possible to completely automate our aquariums with innovations to automatically replace evaporation, and to monitor conductivity and pH. Calcium reactors, as well as ozone generators, had already become mainstream pieces of equipment. 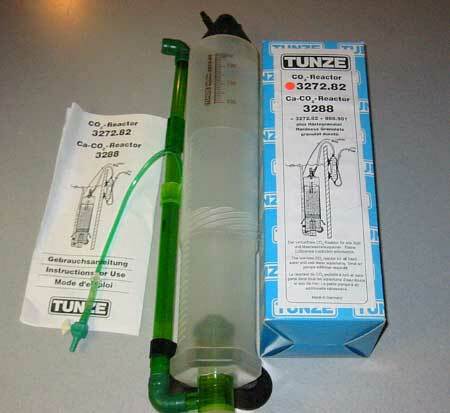 Hydrolyzing denitrators and other space age equipment such as dialyzers became available to the everyday hobbyist. If something went wrong, aquarium's monitoring systems could even page the owner. However, almost as if it were a revolt against the spread of technology, the mid- to late 1990's saw a resurgence of interest in natural systems such as those of Lee Chin Eng and the Monaco Aquarium. As hobbyists gained longer-term experience, a better understanding of the biological processes occurring in aquaria began to supplant some of the technological gadgets thought to be required for maintaining marine species. Deep sand beds, refugia, plenums and turf scrubbers became hot topics on internet reef forums and in periodical columns. Some hobbyists began to do away with protein skimmers, which had been heralded as the single most important invention to the reef hobby for years. This is the first commercially produced calcium reactor from 1989; it was very crude and used the air lift principle to circulate water and degass the CO2 used in the reaction chamber. Lee Chin Eng is probably the most frequently mentioned of these early pioneers of a "natural" methodology. In the early 1960's, Mr. Eng was living in Indonesia and maintaining successful reef aquaria using live rock, live sand, natural sunlight, regularly replaced natural seawater, and gentle water movement provided by air pumps.6 Widespread recognition of Mr. Eng's method was delayed, largely because widespread success was not possible at the time with this method unless the aquarist lived near the ocean. Many hobbyists around the world who lived near the sea and collected local rocks and algae, as well as used natural seawater for their aquaria, had similar success. The Jaubert Method, published in 1989 by Jean Jaubert of the Monaco Aquarium, relied in part on what is termed a plenum, or deep sand bed with a void space underneath. The principle was that by ionic transport of water through the sand, bacteria in hypoxic zones of the deep sand would decompose nitrate into nitrogen gas. The denitrification provided by the sand ensured low-nutrient water capable of long-term maintenance of live corals without protein skimming.7 Today, hobbyists have generally disposed of the void space and use just the deep sand bed. Another method revisited as having potential use in private aquaria were algal turf scrubbers, devices that had been made available to the hobby and based on the methods employed by Walter Adey at the Smithsonian Institution's Caribbean coral reef mesocosm display. This method, using shallow trays of turf algae for nutrient export, had many benefits, especially when the scrubbers were run on reverse daylight photosynthesis (the lights are run on opposite intervals of those in the main aquarium). The photosynthetic activity of the algae at night prevented a nightly pH drop and greatly added to the system's stability.9 As we enter the 21st century, all of these methods are being combined and new methods are being added to perfect the techniques of reefkeeping. It will be interesting to see what systems develop in the future as we incorporate new resins and media into the aquarist's arsenal. To conclude, I offer a brief interview with one of the original German pioneers, Dieter Brockman. While I was in Germany in May of 2004, I had the pleasure of interviewing him with regards to his thoughts on our hobby's history, as well as its present and future trends. I offer a summary of his responses below. What are the most important inventions of the last 50 years that made our present success possible? The protein skimmer, lighting, powerheads and improvements in collection and transportation, which include collecting smaller specimens, better knowledge of animal husbandry and expedited transport routes. Who are the key figures in the history of the marine hobby? Peter Wilkens, Sven Fossa and Alf Nilsen, Julian Sprung and Martin Moe, as well as the marine hobbyist clubs that propagated information before books were readily available. What do you think of the current state of the hobby? What do you see as the future of the hobby? Progress is exponential. Just as it took 30 years to get from vacuum tube computers that filled rooms to desktop computers we could all use, the same is true of our hobby. Breeding fish will become very feasible. It will, however, face major economic hurdles. The entire nation of Germany buys 300 Imperator angels per year (Note: the importation ban on angels and butterflies was lifted sometime in the early 90's after extensive lobbying, with the government resigning itself to the fact that hobbyists simply purchased the species in neighboring countries). This is not enough to make a breeding enterprise profitable. People will have to pay more because collecting will be either severely restricted or banned, and to produce the livestock in these low numbers and be profitable, prices will be quite high. Larval rearing is a possible solution, and while this has next to no harmful impact on nature, it does not eliminate the problem of parasites. Introducing these parasites to a breeding facility could be catastrophic. Livestock will be bred in plentiful quantities and the demand will increase because hybrid as well as selectively bred livestock will guarantee success and spectacular coloration. Genetic engineering will produce intense coral coloration, independent of lighting or water chemistry, provided conditions are sufficient for good coral health. Most anemones sold will be bred and cloned commercially. Eliminating the stress and injury of collection will make the hobby much easier. Many will be upset by these developments and will have ethical concerns, but it really is better for the environment to have readily available highly colored animals. This will reduce the strain on the wild populations and keep people in the hobby because they are more likely to be successful. Whatever we do, it will be critical that the inhabitants of nations who currently profit from the aquarium trade are involved in the breeding and rearing of these animals. Coral farms should be located in the Pacific so an environmentally friendly substitute income exists that will prevent the exploitation of other natural resources of the sea and shore. Marine hobbyists have come a long way from the basic air pump-operated freshwater aquarium. The modern reef hobbyist is at the forefront of aquarium technology. Thanks to the dissemination of knowledge in books, periodicals and on the Internet, our advancement in the future will be exponential. In looking back, the follies of our predecessors are evident. Even in the most successful and widely adopted approach of the Berlin Aquarists under the guidance of Peter Wilkens, we see that the wet/dry filter has fallen out of favor and most of their success could be attributed to the three basic technologies of powerheads, high intensity lighting and protein skimming. Additionally, they discovered a method for maintaining the critical parameters of alkalinity and calcium. We also see methods we overlooked that have added to our success today such as those of Lee Chin Eng. Even in this overview I have undoubtedly overlooked the many great contributions of early cold-water marine hobbyists, and the knowledge derived from experimentation in the universities and institutions throughout the world. Our hobby will continue to improve but we must be ever mindful of our responsibilities to our animals and the environment, both those we maintain at home and those in the wild, the source of our inspiration. ed. : TFH Publications, Inc., 1994. 3. Adger, Cal. Hawaiian Marine Imports, Inc., pers. comm. 4. Klausewitz,. "Live Corals." Salt Water Aquarium. Vol. 3, Number 6. 6. Moe, Martin. Martin Moe-Biography. http://www.dfwmas.com/... MoeBio.html. 7. Paletta, Michael. "The History of Reefkeeping." Aquarium Fish. Fall 1998. 8. Sprung, Julian. "Jaubert's Method, the 'Monaco System,' Defined and Refined." Advanced Aquarist. Sept. 2002. 9. Adey, Walter H., and Karen Loveland. Dynamic Aquaria: Building Living Ecosystems. San Diego, CA: Academic P, 1998. 72-92.